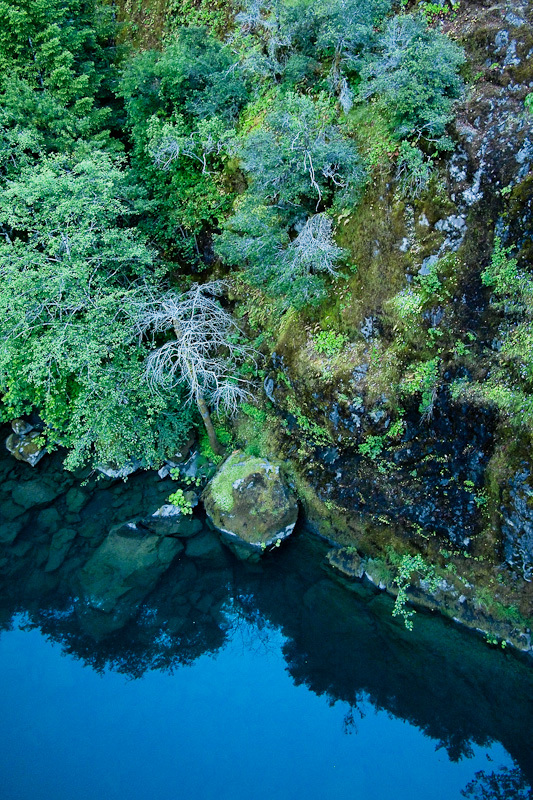 The Wild and Scenic Chetco. 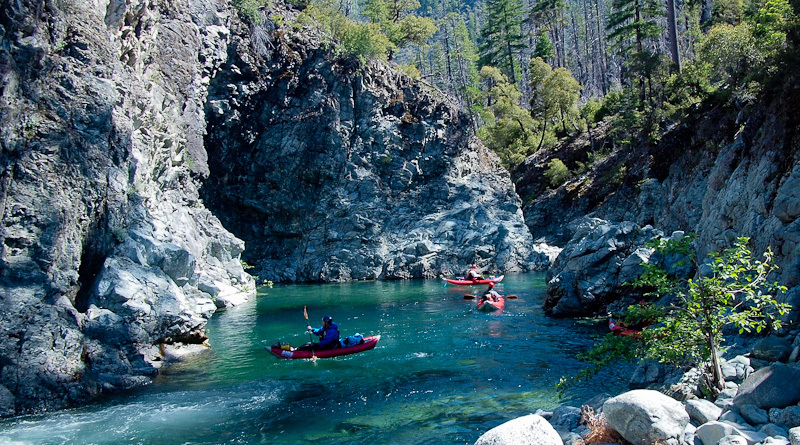 I first encountered it in Oregon Field Guide's first story about the run, which described ex-Grand Canyon guide Alan Wilson's quest to commercially run the river. 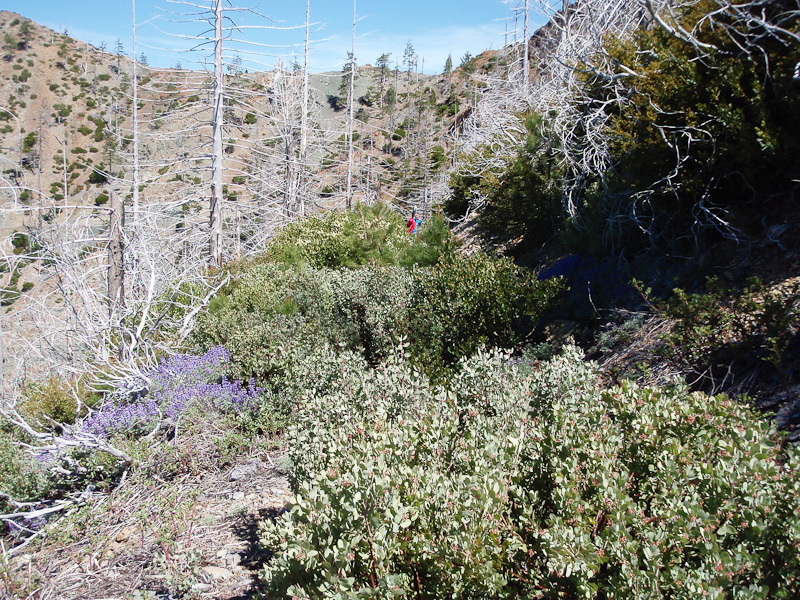 Even then, before the fire, access was an arduous hike, and flows were very very low. Yet the run looked amazing: that water! 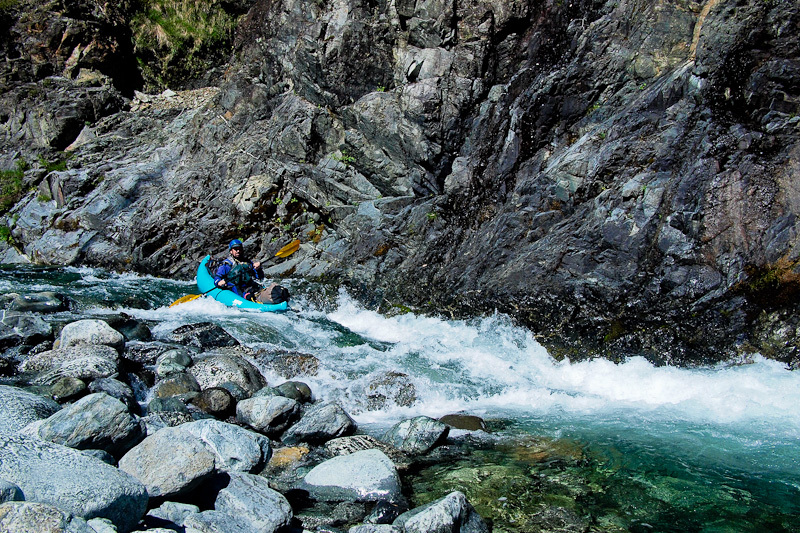 So pristine, so rarely visited, and, by all accounts, chock full of whitewater. After all, how could a river whose nearest relatives are the Smith and the Illinois be a disappointment? That's some high quality pedigree right there! But alas, the Biscuit Fire. 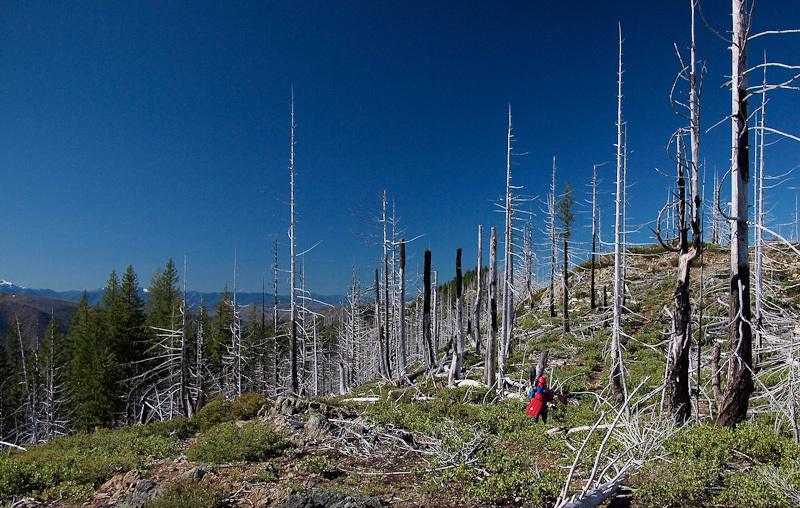 In 2002, it torched nearly half a million acres, and nearly all of the Kalmiopsis Wilderness. Trails were now littered with deadfall, and many snags stood sentinel, just waiting the right wind to finally fall to earth. Reports on gaining access to the known putins were uniformly terrible. 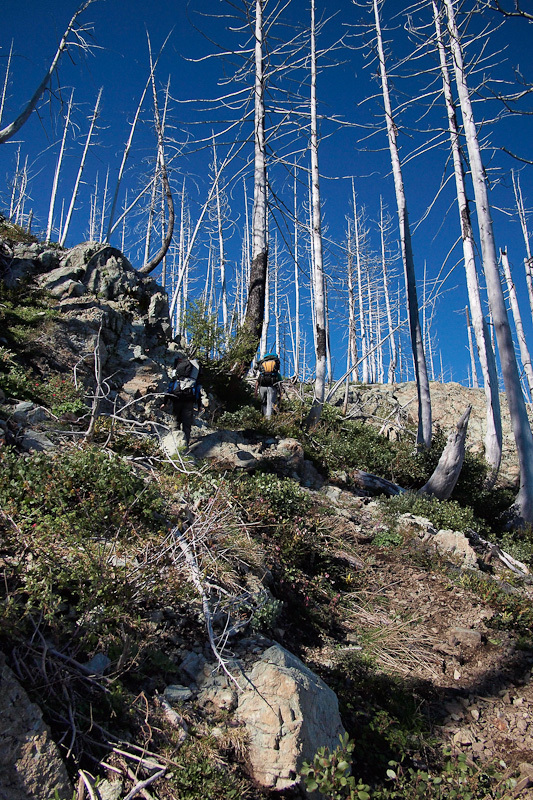 The Slide Creek trail was toast, buried under downfall. What had once been a 4 mile downhill hike was now an 8 mile 3,000 foot climb then 3,000 foot descent with no discernable trail. I've looked at it every year since then, but it wasn't until Jason Shappart caught wind of it that things came together. 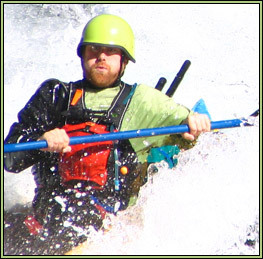 Zach Collier of Northwest Rafting Co had gone in via Slide Creek in 2011. 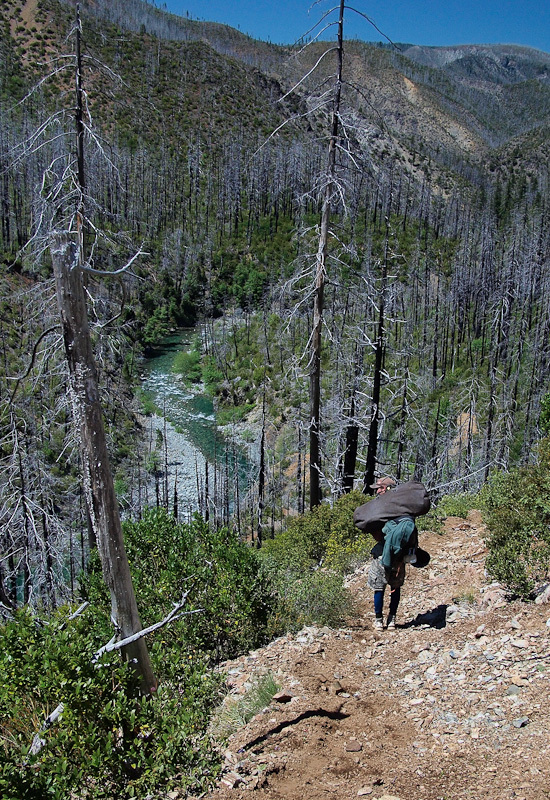 Their 2 day hike-in included an 8 hour 4 mile bushwhack to cover the last mile and a half to the river. But by 2012, things had changed. 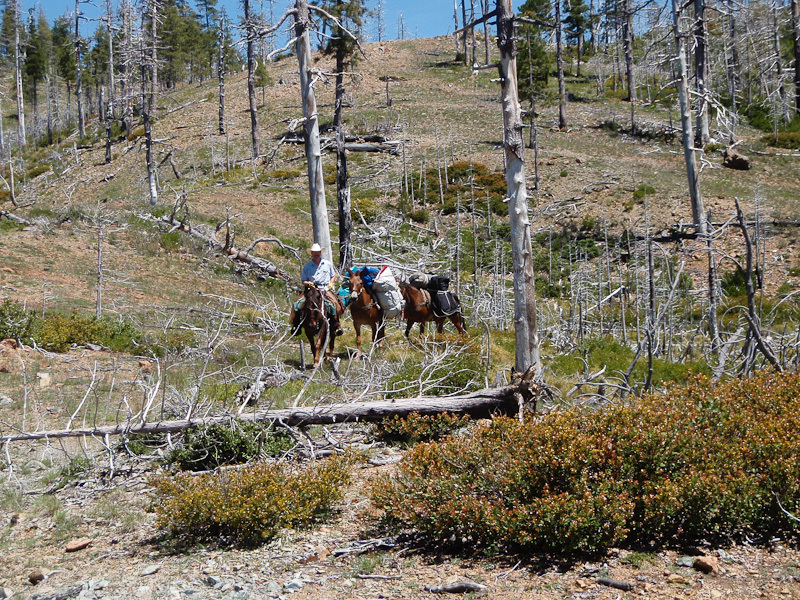 The Siskiyou Mountain Club had opened up the Mount Emily and Babyfoot Lake trails. 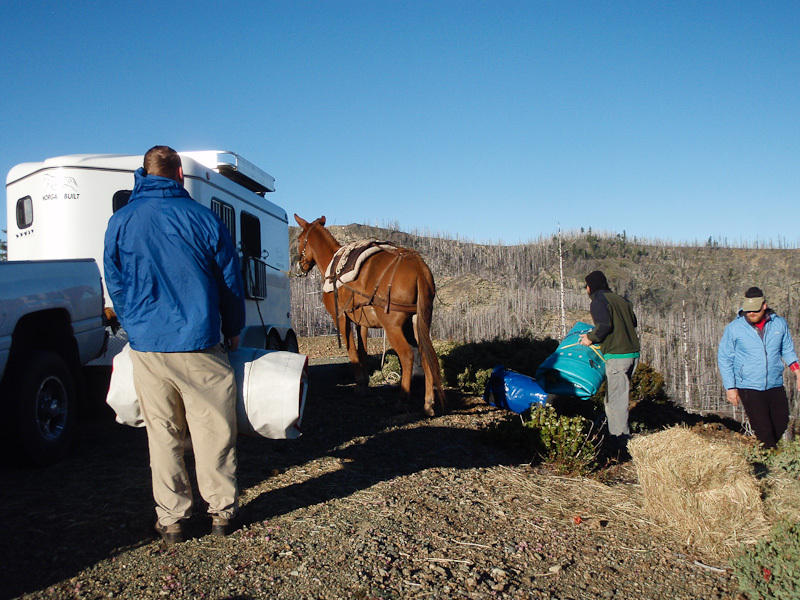 And we had solved the elusive horsepacking provider. 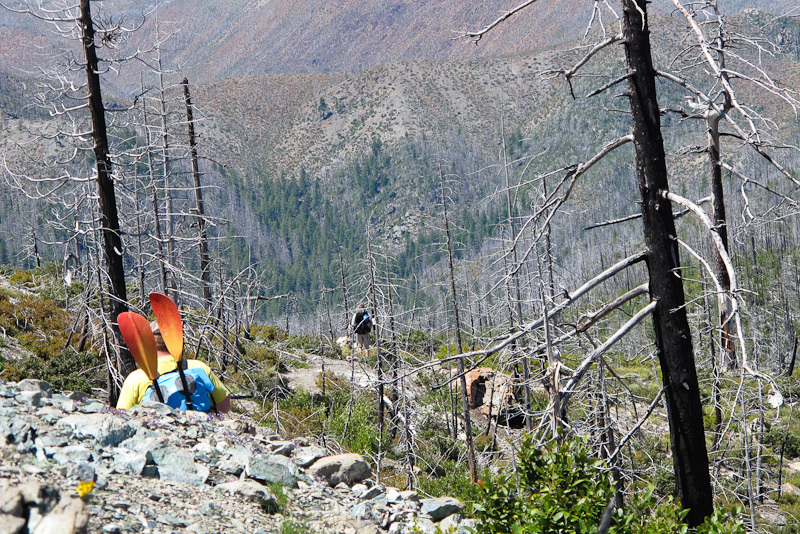 The steepest and most treacherous part of the trail, a short steep climb out of the Babyfoot Lake basin. And so it was that our trip began with a long day of driving. We picked folks up all along the I-5 corridor and met at the trailhead at close to 4500 feet. Here we dropped gear and set out to run our own shuttle. Back out to the Illinois valley, south and west along the gorgeous Smith River, then up 101 to Brookings. 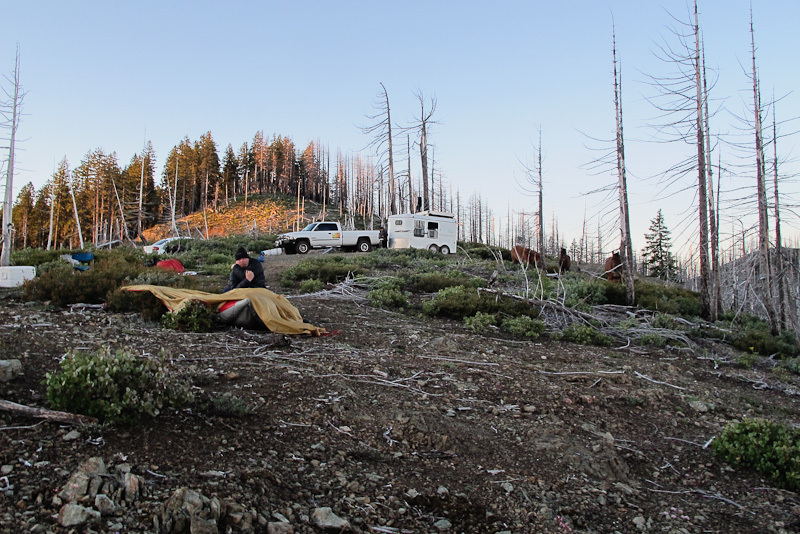 We dropped a rig at a bridge above a silent, still pool, then rallied back to camp. Six hours total. 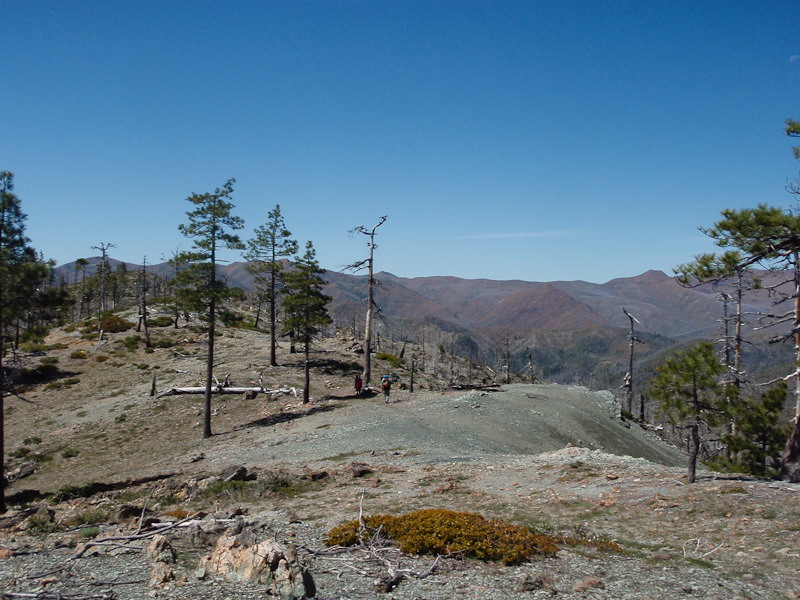 Once up on top, the hike is mostly a high ridge walk with little shade but expansive views. 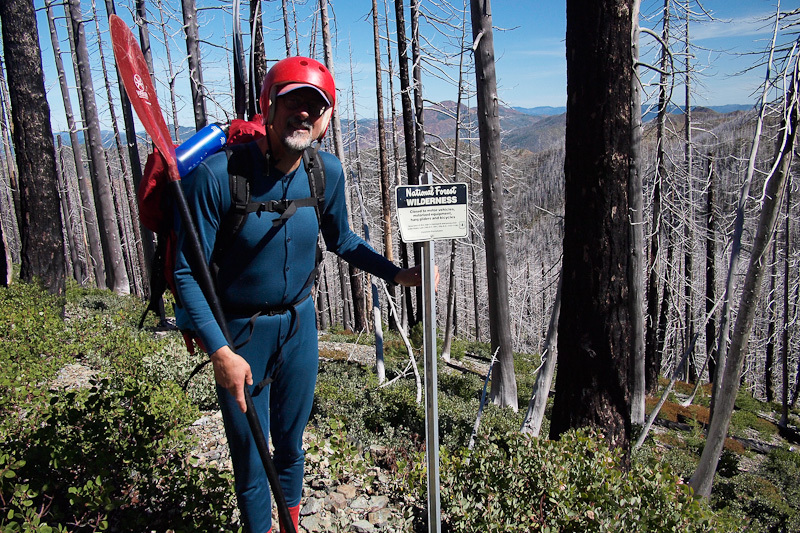 Bill holds court at the Kalmiopsis Wilderness boundary. Sunday morning we awoke to the horses stirring in the still air. By 9, the pack train was ready. 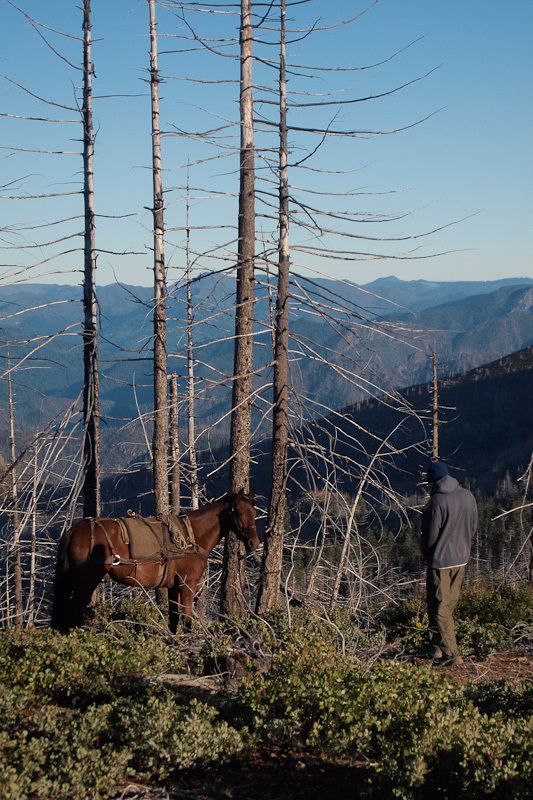 Doug and I ended up unable to get our gear onto the horses and stuggled with 70 plus pound loads during the hike. The trail itself was fairly uneventful -- after a quick climb from the trailhead the walk is mostly a rambling ridgetop hike on trail or old road grades. 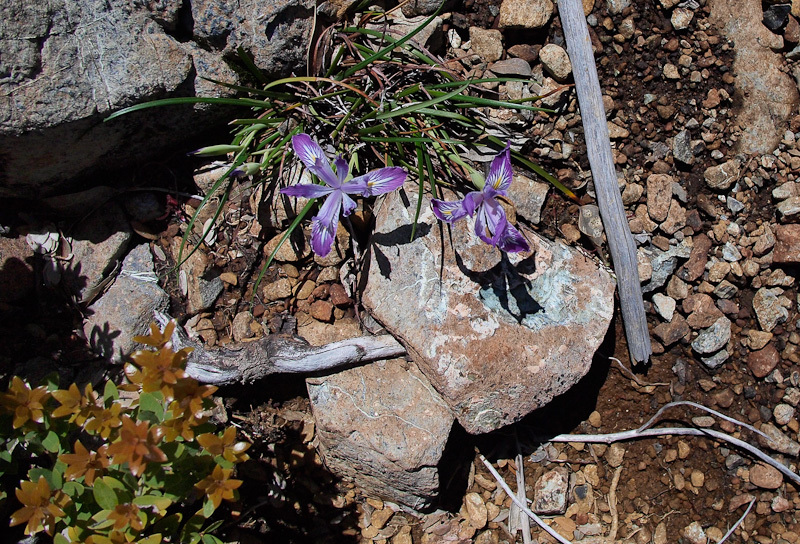 Much of the trail is through the burn zone, and the resulting flower displays were amazing. 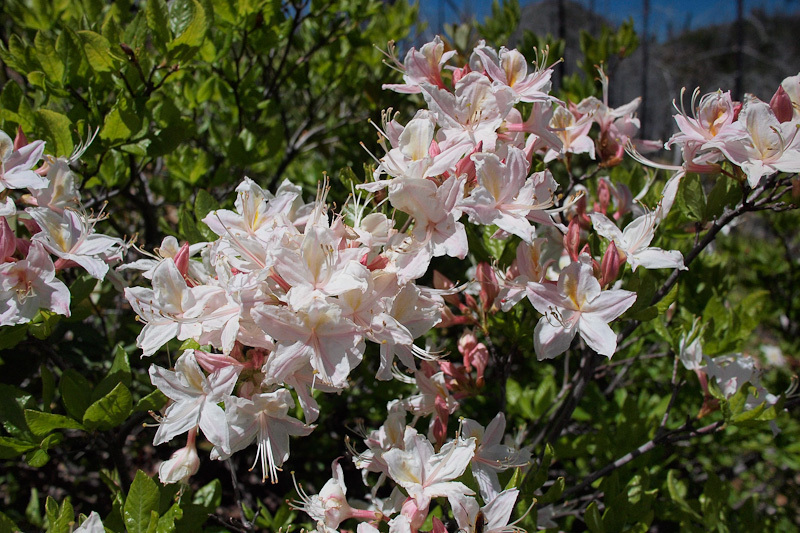 Rhododendron and Azalea were prolific and lupine, indian paintbrush, iris, penstemon, and columbine were plentiful as well. Shade, however, was not. As the temps climbed into the 80s, I found it hard to keep my pace in the heat and yielded to the slower pace I had to have to keep my core temps in a safe zone. 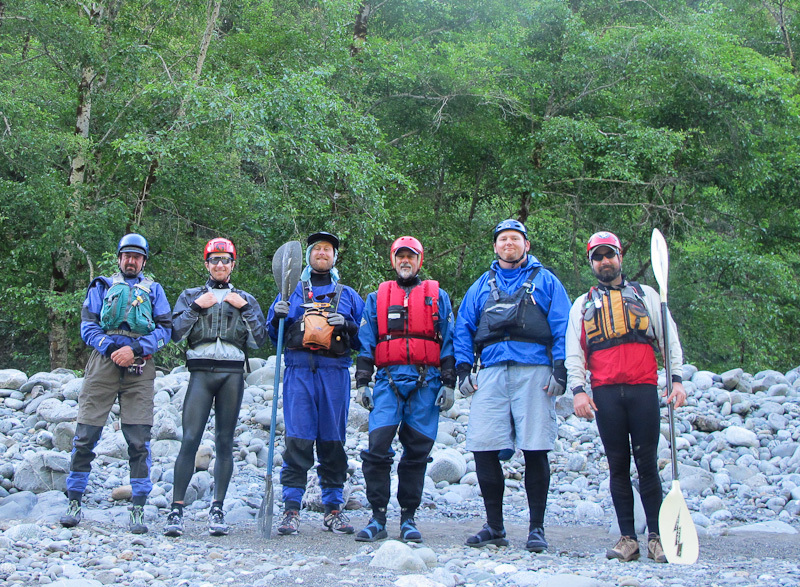 At last, after 6 hours for the quickest of us, and 7 for the stragglers, we completed the long 2000 foot descent into the Carter Creek drainage and arrived at the river. The lovely rosy breasted skinny dipper in our camp chose not to stick around with six dudes setting up shop, but the scenery offered plenty of distractions. Doug is thrilled to get our first glimpse of the river! When we finally reached the river, I went straight in, finally able to get cool. It was a great feeling, sitting riverside amidst shady boulders and wildflowers. We swam, napped, and explored the bench that held our camp. In the evening, a pair of guys and a dog joined us, on night 2 of a three day loop into the Magic Gorge. They promised us amazing emerald pools, serpentine bedrock walls, and plenty of gradient to whet our whitewater appetites. We went to sleep knowing the hard work was behind us, and we had four glorious days of pristine wilderness paddling to look forward to. We couldn't wait to get started.